My husband built a book shelf for our daughter when she was two. 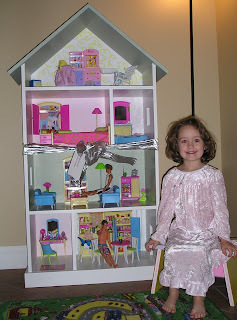 When she was 4 she begged for a Barbie dollhouse. 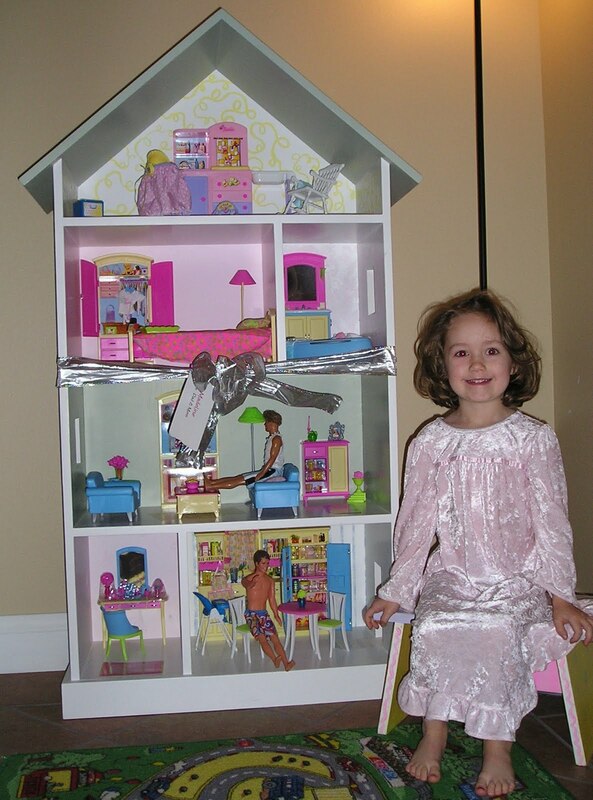 We painted the inside of the walls to look like rooms and purchased Barbie furniture to fill the house as her Christmas gift this year.